Hello and welcome to Standard Sport's live coverage from the Emirates Stadium of Arsenal's crucial Champions League tie against Bayern Munich. Stay tuned for all the updates from 6:30pm. Here's our preview of the match, including odds, possible line ups and what the players are saying. 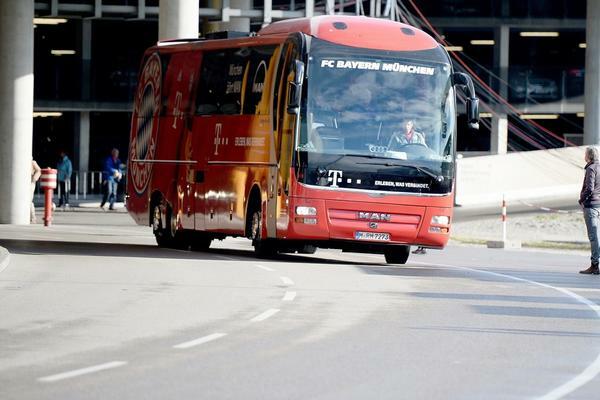 Bayern Munich's mascot has brought the hijinks with him as his side visit London. See the crazy antics of the mascot above. You could make a pretty fantastic selection from the players not in our combined XI. 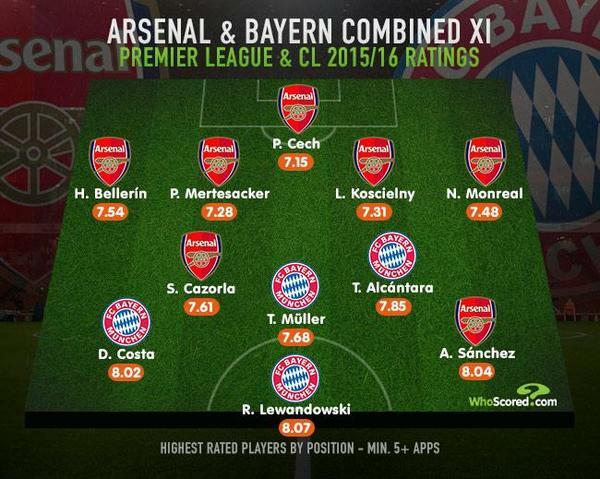 Think Neuer, Ramsey, Coquelin, Ozil and Lahm. But what do you think of our actual selection? Tell us above. The bookies have made Bayern strong favourites to win yet again. But Thomas Muller disagrees. Do you? Have your say in our poll above. To say Bayern Munich players have been involved in "a bus crash" would be overplaying it somewhat, but here's a picture of a mild scrape for you. We'll have more team news for you very shortly but in the meantime why not look back over some of the great games of yore between these two sides. Historical encounters dating all the way back to 2001 coming at ya. Still no news on the Arsenal lineup... When I know, you'll know. 216 - Manuel Neuer will play his 216th competitive match for @FCBayernEN, surpassing Jean-Marie Pfaff. Established. 50 - Per @mertesacker is about to play his 50th Champions League match (2 goals). Routine. Here's further details on the lineups for both sides, including the changes for Bayern in defence. All eyes will be on the man above tonight as he looks to build on a record of 16 goals in 12 games. That's better than Cristiano Ronaldo or Lionel Messi but Robert Lewandowski has dismissed comparisons with the world-class duo in a video interview you can watch above. Manuel Neueur has just pulled off a truly fantastic save from a Thomas Muller header in the warmup in front of me. He dived at full stretch high to his right to palm the header away; Arsenal can ill-afford to have their opponent on that sort of form. If I had any wherewithal I'd be able to share with you a video of that, but I didn't so you'll just have to lump it. Ten minutes until kick-off, here's a reminder of the lineups in full. 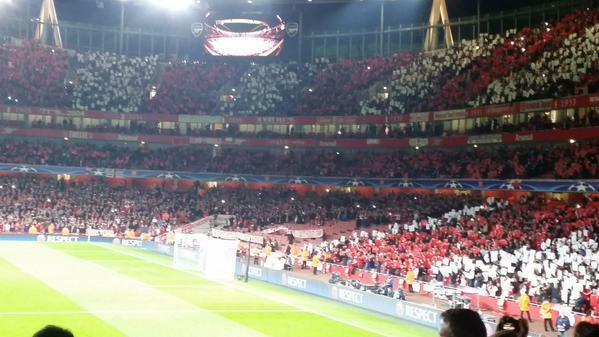 That Bayern fan protest you may have heard of, where the fans boycott the opening minutes? Really not happened. Most of their area is absolutely packed. 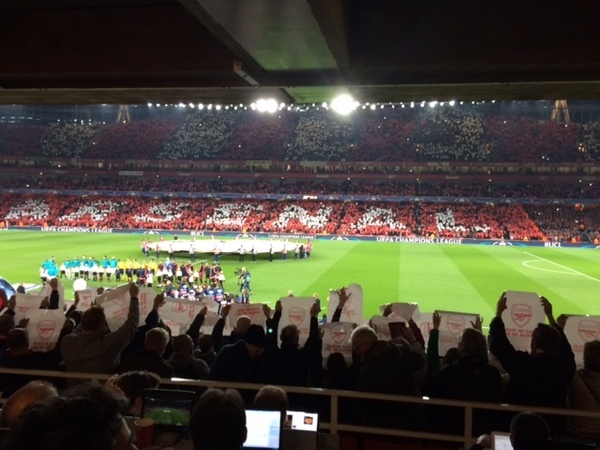 The players are out and Arsenal are greeted with quite the sight. Will it inspire them to victory? Stay tuned to find out. Kick-off: Mesut Ozil and Alexis Sanchez get us underway for a crucial 90 minutes in Arsenal's season. 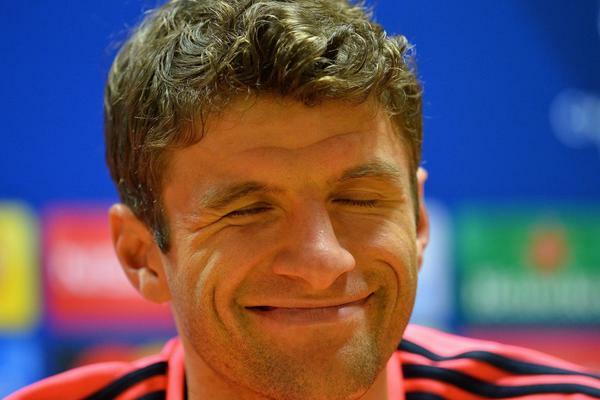 1 mins: Aaron Ramsey gives the ball away early on...straight to Robert Lewandowski. Per Mertesacker can only slow his advance on goal and it takes a late tackle from Hector Bellerin to stop him getting a shot away. 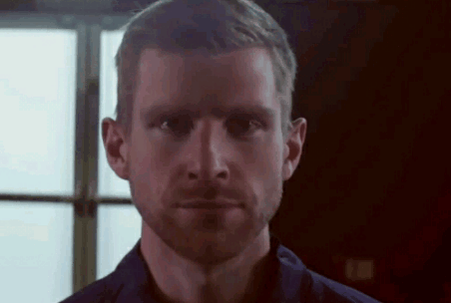 3 mins: It took a while but Arsenal finally managed to disrupt the Bayern "carousel". A loose ball is cleared by Cazorla before Sanchez and Walcott combine to release Ozil down the right, to roars from the Emirates. Bellerin joins the attack with gusto but is flagged offside as he looks to drag the ball back to Walcott. 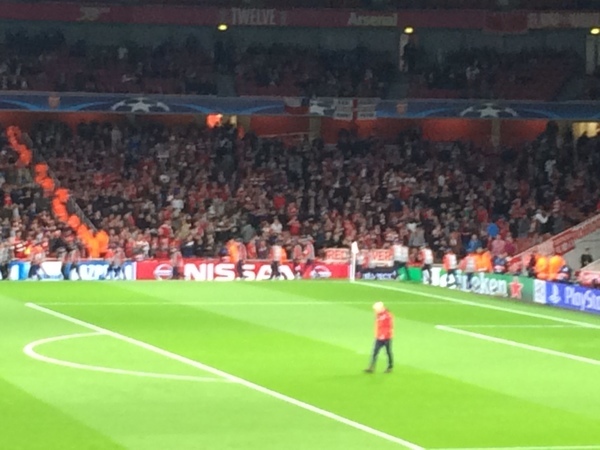 6 mins: Those Bayern fans that did join the boycott are back out on the pitch, welcomed by warm applause from the Emirates faithful. On the pitch it's all Bayern, though both Bellerin and Monreal have looked impressively resiliant early on. 7 mins: Arsenal have the first real chance of the first half thanks to Sanchez's driving run from the left. He squares it on the edge of the box for Ozil, who slips past Alaba before driving a low, right-footed shot Neuer does well to push away. Walcott picks up the rebound but is hounded out by Boateng. 9 mins: Costa finally gets the better of Bellerin, firing in a low cross that Mertesacker clears well with an outstretched leg. Arsenal seem to be playing this well early on, tucking Ramsey in to make a midfield three and breaking with purpose through Walcott, Ozil and Sanchez. 11 mins: Petr Cech makes a very important save from Thiago. A fine one-two between the Spaniard and Thomas Muller saw Thiago get behind the backline, where his first-time volleyed effort was pushed away with power by the Arsenal keeper. 15 mins: Again Per Mertesacker has to be on hand to dive across for a cross after Costa got the better of Bellerin. He clears for a corner which, after Thomas Muller strangely walks over to Thiago and then does nothing, is comfortably cleared. 19 mins: After looking comfortable early on Bellerin is really struggling. Costa drags the ball from one foot to another before firing in a cross that Cech has to palm away. Arsenal then counter from the corner, but a diving Alaba stops the ball getting through to Walcott. 24 mins: Douglas Costa has been truly a pleasure in this opening period, once more he dances past Bellerin (and Cazorla for good measure) before being dragged down for a foul. 27 mins: Just as Arsenal have a chance to counter the referee, who has missed a few claims for Arsenal free-kicks, calls the play back as Arturo Vidal is down holding his leg. The Arsenal fans are incensed, and their mood doesn't improve when it becomes apparent he doesn't even need medical attention. 28 mins: Another fine save from Petr Cech, this time after Vidal volleyed from just outside the area. He's going to need to keep it up. 30 mins: Walcott cuts in from the right and passes to Sanchez. A gorgeous backheel sets the striker away but he is crowded by defenders and can only clip a shot over the box. Seconds later loose defending from Alaba gives away a corner. Bayern have every single player back but the ball still breaks to Sanchez, who drives over from just left of the penalty spot. 33 mins: What a chance for Arsenal! And what an incredible save from Manuel Neuer. Monreal and Sanchez combine down the left, with the Spaniard delivering a perfect cross for Walcott, just too high for Boateng to reach. If you were being critical of the striker you might say he shouldn't have headed it straight at the goal, but Neuer has just, just got a fingertip to that. Exceptional. 37 mins: Cazorla releases Walcott down the left channel with a long-ball over the top. Cutting in on to his right he should get more power, height and curl on a shot that rolls tamely into Neuer's arms. 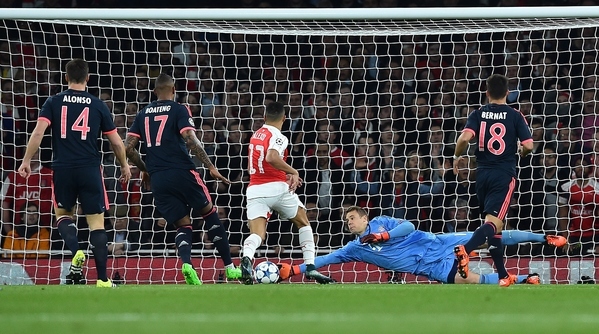 42 mins: Sanchez gives the ball away in the middle of the park to Douglas Costa. The winger drives hard at goal and it goes over. But the referee is signalling that Cech got a touch on that and Bayern have the corner. 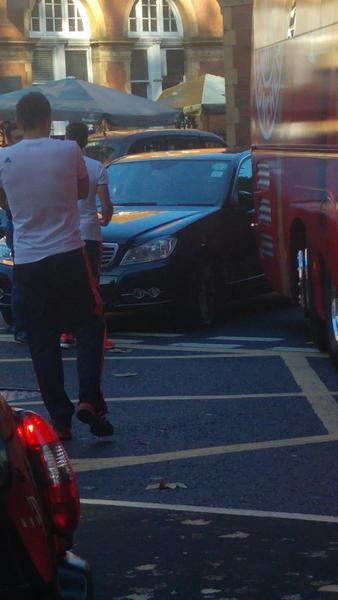 And another, even though it seems Lewandowski headed straight over. This referee is not ingratiating himself to his hosts. HT: An engrossing 45 minutes comes to end with Arsenal growing in confidence throughout. Both left-wingers have looked positively excellent, and you can't help but suspect that Sanchez or Costa will have a big role to play in the final outcome. Second half: The teams are out and Bayern get us underway for the second period. 48 mins: Xabi Alonso is thinking what I was, that this was a bit of a slow start. Therefore he leathers the ball towards goal from the halfway line. It sails well wide of Cech's left post but top marks for effort Xabi. 50 mins: More stepovers and flicks from Costa, who this time moves past Coquelin on the right flank before firing a driven effort just over Cech's bar. 55 mins: The ball breaks to Robert Lewandowski, who has been kept very quiet so far, on the left-hand corner of the area. 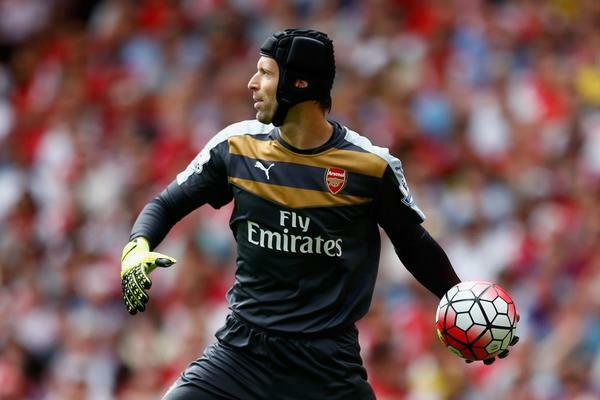 He reminds everyone what he can do with a ferocious effort that Cech just gets fingertips to. 56 mins: Aaron Ramsey is down with a hamstring injury and has signaled to the bench that he will have to come off. Alex Oxlade-Chamberlain is on in his stead, which may help Arsenal counter with further menace and pace. 59 mins: Ozil gets space down the left, from which he drags the ball back to the edge of the area for Coquelin. The crowd urge him to shoot and he obliges, but his right-foot piledriver is always curling away from Neuer's goal. 62 mins: Thomas Muller at last finds a pocket of space without Nacho Monreal inside the area and flashes a cross past Cech but just too far ahead of Lewandowski and Thiago for either to get a touch. 66 mins: Monreal finally puts a foot wrong, or in this case a head, as his clearance from a long ball comes to Muller. But Coquelin is swiftly across to usher away the danger. Dare I say it, but Bayern look rather short on ideas. Guardiola seems to think so, bringing on Rafinha and Kimmic for Vidal and Alonso, with Lahm set to slot into midfield. 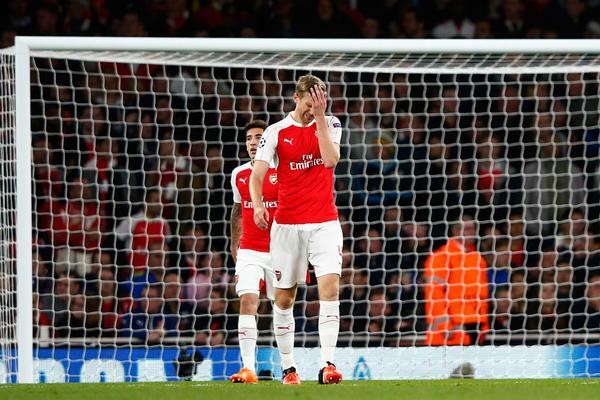 74 mins: Arsenal are holding on well in defence but can't offer much going forward. Walcott in particular looks exhausted and he makes way for Giroud. 76 mins: Arsenal commit too many forward and are very nearly caught out as Douglas Costa and Lewandowski have a 2 on 2. 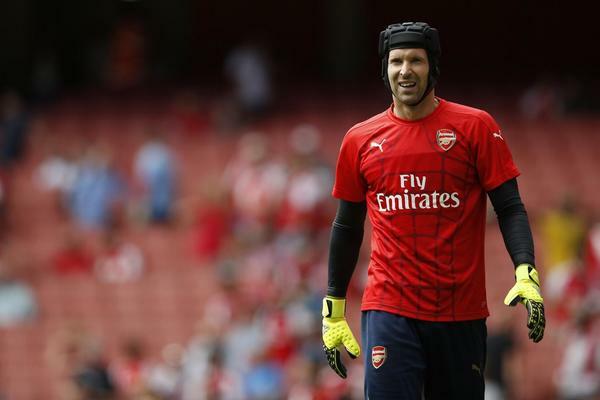 The former picks the right pass for his striker, who hits well only to draw an excellent save from Cech. GOAL (77 mins): Olivier Giroud gives Arsenal the lead! The hosts win a free-kick midway into the opposition half that Santi Cazorla pumps forward. Koscielny jumps for the ball and blinds Neuer (fairly). The world's best misses the ball and Giroud heads in! 80 mins: It's all going right for Arsenal now, Hector Bellerin's even managed to nick the ball of Douglas Costa. 82 mins: He's been outstanding yet again and though he doesn't get his goal he gets a huge ovation. Alexis Sanchez makes way for Kieran Gibbs. 84 mins: Arsenal look much the more likely to score now, with Bellerin powering down the right to win a corner off Bernat. Giroud connects with that corner, but his header is straight at Neuer. 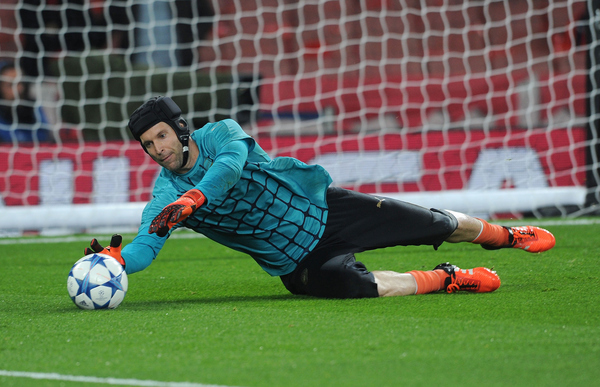 88 mins: Bayern have pinned Arsenal back with several corners but Monreal and Cech are dealing with them commandingly. Can the gunners hold out? 90 mins: Thiago drives forward and shoots but his 22 yard strike does nothing more than sting the palms of Petr Cech. 4 mins of added time, can Arsenal hold on? 93 mins: Lewandowski breaks round the back but Koscielny just manages to make contact with the striker before he can shoot from 8 yards out. Superb defending. GOAL (94 mins): Bellerin wins the ball and sprints forward, crossing for Ozil to sidefoot. Neuer keeps it out, but not before the ball has crossed the line. 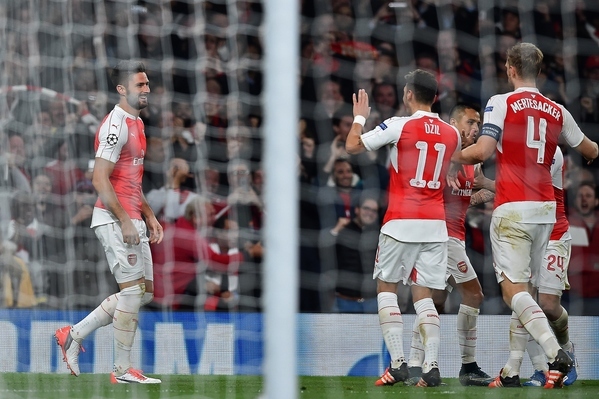 FT: What a night for Arsenal, they've beaten the best team in Europe and they've beaten them by two goals.